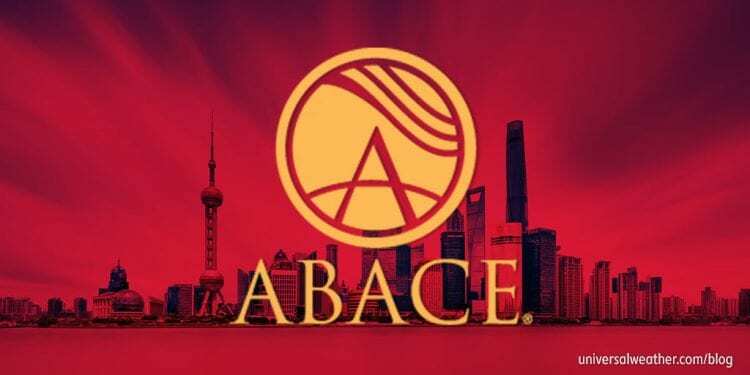 Asian Business Aviation Conference & Exhibition (ABACE) 2019 will be held April 16-18 within the Hawker Pacific Business Aviation Service Centre at Shanghai Hongqiao International Airport (ZSSS). ABACE is considered the No. 1 business aviation conference in Asia, with thousands of attendees and hundreds of exhibitors from around the world. For those planning to attend via general aviation (GA), or if you just happen to be in the area, it’s recommended to begin the planning process early, due to airport restrictions. ZSSS is the venue and the preferred airport for GA arrivals and parking for ABACE. From April 3-22, 2019, no GA aircraft will be permitted to land or takeoff at ZSSS unless they are attending ABACE. Any aircraft already at ZSSS but not there for ABACE, must be transferred by April 3, 2019. ZSSS is a 24-hour airport of entry (AOE) with a fixed-base operator (FBO), full GA support services, fuel, and credit. Landing permits and airport slots are required for every operation to ZSSS and at least two business days’ lead time is recommended for requests. Although permits and slots can generally be approved with less lead time, this cannot be guaranteed. Note that slots are normally approved by the Civil Aviation Authority of China (CAAC) simultaneously with your landing permit. Note that there’s an operating curfew in effect at ZSSS 0000-0600 local. Additionally, no GA equipment are permitted to take off/land 0700-0900 local. During ABACE2019, be mindful that overnight GA parking will only be possible for registered ABACE exhibitors/attendees. If you’re flying to Shanghai for other business during this period, you won’t be allowed to operate to ZSSS. GA flights into ZSSS are normally not permitted to park for more than 72 consecutive hours. However, there may be exceptions for registered airshow attendees during this event period. To reduce crossing of flight paths in the Shanghai area, GA flights to/from the northeast and east are not normally permitted to take off or land at ZSSS. So, if you’re flying in from North America or Japan, for example, you’ll likely need to land at Shanghai Pudong (ZSPD). While there may be certain exceptions to this mandate during the Airshow period nothing has yet been published. Note that no direct GA operations may be made between Taiwan and China unless the aircraft is registered to either Taiwan or China. For example, if you need to fly from Taipei (RCTP) to ZSSS, it will be necessary to operate via a third country, perhaps Hong Kong, Macau or Korea. ZSPD is the main commercial airport for Shanghai, and it’s a 24-hour AOE. While this location does not have an FBO, full support services, parking, fuel, and credit are available to GA.
From April 1-22, 2019, aircraft can park for no more than 72 hours. From April 1-22, 2019, ferry flights picking up pax from other airports into ZSPD can park for no more than eight hours. If you’re not able to arrange parking at either ZSSS or ZSPD, then Hangzhou (ZSHC) and Nanjing (ZSNJ) are the best parking alternates to consider. Note that ZSHC and ZSNJ operate as domestic airports 24/7 and only accept international arrivals/departures 0830-2300 local. Airport overtime requests, for international arrivals/departures, are possible but not guaranteed. Note that at both airfields GA operations are not permitted 0700-0900 local daily. Neither ZSHC or ZSNJ mandate slots or prior permission required (PPR) and GA parking availability are generally good. To travel between Hangzhou and Shanghai plan on about a 1.5 hour drive or just less than 1 hour via high speed rail link. ZSNJ has an FBO, while ZSHC doesn’t. When operating to and within China, it’s best to carry fuel releases and confirm uplift requests with your ground handler at least 24 hours prior. At certain locations, fuel and aviation cards may be accepted on sight, but this should always be confirmed in advance. While fuel deliveries are generally on time at major AOEs, there may be uplift delays, from time to time, during peak operating hours. Landing and overflight permits for China are processed relatively quickly and it’s an easier process than it was even a couple of years ago, as sponsor letters are no longer required. In some cases China permit requests are processed within 24 hours. Overflight and landing permits are needed for all operations to China. We suggest allowing at least three business days lead time for permits and associated airport slots. It’s ideal, when possible, to allow seven business days. While standard documentation is needed for landing permits, there’s no longer a requirement for operators to provide local sponsor or purpose of travel information. 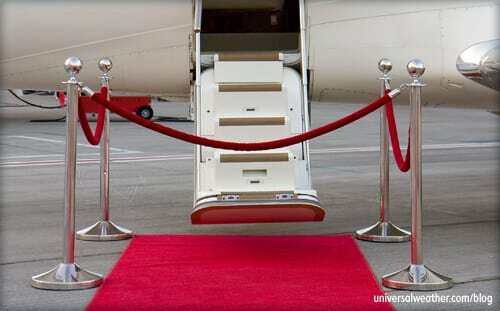 Note that airport slots will be issued and confirmed when your landing permit is approved. Due to increasing volumes of international and domestic commercial movements, along with growing fleets of locally-based business jets, airport slots have become increasingly difficult to obtain for Shanghai. Be mindful that you may not secure the exact or preferred slot times you request. 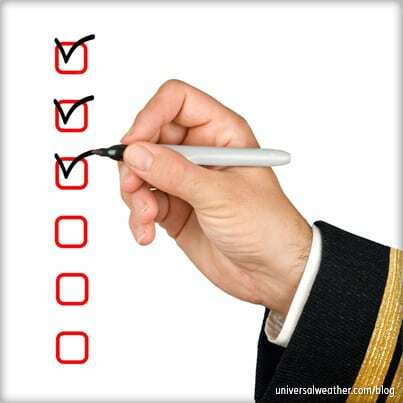 Once you have confirmed slots it’s important to try to stick with approved schedules. Be mindful that the Civil Aviation Authority of China (CAAC) normally limits operators to a maximum of two permit revisions. Any revision requests beyond this may be denied. Additionally, each permit approval allows a maximum of six flight legs, and up to five stops, within China. If you need to make any additional stops you’ll have to exit and reenter the country, with a new permit. 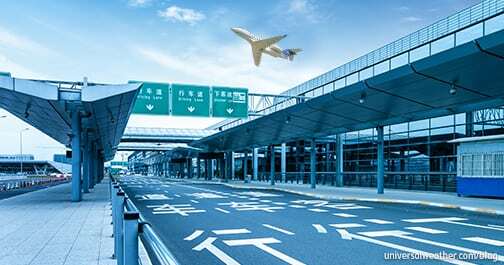 While parking requests for Shanghai area airports may be submitted weeks or months prior to the estimated time of arrival (ETA), we normally recommend filing trip requests no more than one week prior. The reason for this is that CAAC only allows two revisions to be made to an approved permit. If you obtain a permit too early, and attempt to make more than two revisions, your change requests will likely be denied. It’s normally possible to arrange two nights/three days parking at either Shanghai Hongqiao (ZSSS) or Shanghai Pudong (ZSPD). If you wish to stay in the Shanghai area longer you’ll need to either reposition to a different airfield or reposition to a different area on the field. It’s usually possible to move to a compact parking area for stays of up to about four days. For longer parking stays you may need to arrange for a ‘leased’ parking area, with associated additional costs. Customs, immigration and quarantine (CIQ) is cleared and processed in the fixed base operator (FBO) at ZSSS and this process takes about 10 minutes. At ZSPD you’ll clear in the main terminal or, with prior arrangement, at the VIP lounge. Plan on about 20 minutes to clear CIQ at ZSPD. Note that CIQ clearance is a more private experience at ZSSS, as the VIP lounge at ZSPD is also used by commercial airline passengers and certain credit card holders. Most nationalities of passengers require visas for China. All visas must be obtained prior to arrival, unless you’re using a 72-hour transit visa and meet all requirements. 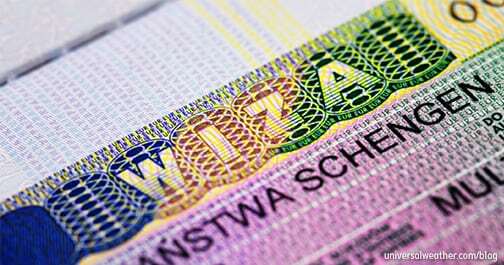 While crew normally must have “C” type crew visas when operating to China, they’re permitted to enter ZSSS and ZSPD with standard business visas. However, if you’re continuing on to a smaller or secondary airport in China it’s important to obtain a “C” type visa. At many smaller airports local immigration officers will insist on all crewmembers having “C” visas. Passengers and crew arriving at ZSSS, ZSPD and Beijing (ZBAA) have the option to apply for a 72-hour transit visa if they’re flying from country A to Shanghai or Beijing and continuing on the country B. Note that these transit visas are only available on qualifying itineraries and are only valid for a stay of up to 72 hours. If you wish to take advantage of a transit visa it’s important to coordinate in advance with your local handler, to ensure the process so smoothly and quickly upon arrival. Airport security is very good at larger AOEs in China, with adequate fencing, patrols, surveillance and airside access controls. While there are some airports that do allow additional private security to be brought airside, this is not the norm. Many airports in China do not allow additional airside security, other than for government flights with prior approval. Off airport security threats are low in China. If you leave something onboard the aircraft and need to retrieve it prior to the day of departure be aware that obtaining airside access, and arranging transport out to your aircraft, may require a couple of hours’ notice. Shanghai is considered a relatively safe destination, but it’s always a good idea for operators to avoid complacency by reviewing their personal security profile. 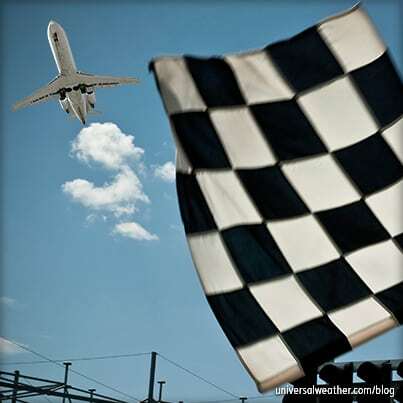 Click here to read our blog on staying safe while at ABACE. For operators heading to Shanghai it’s recommended to carry a tow bar. Handlers may not have all types of tow bars, causing possible operating delays. There are also times your aircraft may need to be towed to a “compact parking area” if your stay on the ground is longer than two to three days. For operations to China we suggest providing catering uplift orders at least 48 hours prior, particularly for more customized orders. Good in-flight catering options are available at ZSSS, ZSPD and other major AOEs in China. Many crew, particularly regionally based crew, often prefer to source catering locally from restaurants/hotels. There are generally no issues in China regarding direct catering from restaurants/hotels and no challenges in bringing catering through airport security. In terms of agriculture, regulations standard practice is to dispose of all open catering upon international arrival. It’s possible, in certain circumstances and with advance arrangement, to store onboard catering for the next leg either with the ground handler or using the facilities of a local caterer. For more information on catering in Shanghai and local cuisine options click here. Shanghai has a good supply of 4- and 5-star hotel accommodations, including major international chain brands. While accommodation options here do not usually sell out, higher pricing and stricter cancellation policies are in effect during peak season. Expect to pay about 300 USD/night for 4-star crew accommodations in central Shanghai during ABACE period. Prepaid (car with driver) transport vetted by your service provider or ground handler is recommended for local transport within Shanghai. While public taxi and Uber options are available there may be language issues to consider. Some crews choose to rent vehicles and this is possible by submitting a driver’s license along with a translated version of the document. We only recommend use of rental vehicles if crews are very familiar with the local area. Guns and other weapons are strictly prohibited in China. It’s usually only possible to bring these in if you’re a government flight with prior approval. Pets may be temporarily imported into the country assuming all required health certificates are submitted in advance. Plan to provide at least seven business days prior notification if you plan on arriving with a pet. It should not be an issue for registered ABACE attendees to secure GA parking at either ZSSS or ZSPD, although there may be additional steps involved depending upon the desired length of stay. To help ensure preferred parking options, provide the local handler with your ABACE participation documentation before arrival. Operators should be aware that China is an expensive operating environment. From the perspective of nav fees, airport fees, ground handling, parking, and ground handling, service quality is very good. In addition to fixed base operators (FBOs) at some of the larger airports of entry (AOEs), you’ll have access to full-service based handlers with good ground support equipment (GSE) availability. For those who’ve operated to China in the past, permit approvals are very straight-forward and can often be obtained within 48 or even 24 hours. However, it’s important to allow the appropriate lead time and be aware of the max number of changes permitted after the permit is approved. Also, note the visa requirements when traveling to China. We suggest operators carry tow bars when operating to China as you may need to be repositioned on the airfield, particularly when staying more than 72 hours at the destination. It’s best to coordinate all in-flight catering uplifts well before flight, and your local ground handler can assist with this. Got a question for Cynthia about this article? Managing Director of Universal Aviation China Cynthia Zhang has responsibility for coordinating client operations throughout the country in addition to administration and finance oversight. Over her eight plus years with Universal, Cynthia has developed many areas of expertise within the region and is appreciated by clients for her consistency in thinking ahead and providing considerate customer service with a ‘can do’ attitude. With a Bachelor degree in accounting, and fluency in both English and Mandarin, Cynthia is ready to assist with any and all operator requirements within China.